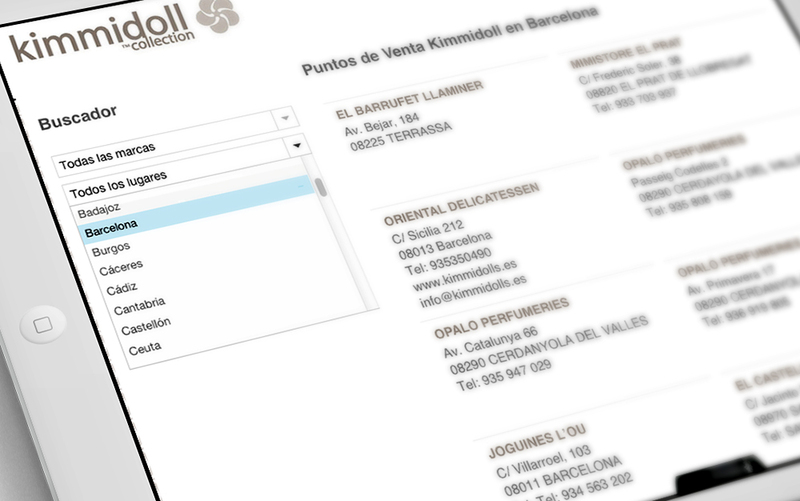 Online Shop and corporate website for Kimmidoll Spain. Includes motion graphic animated intro. Includes a search engine by whitch users can find Kimmidoll’s points of sale in their city. Users can purchase Kimmidoll products 24/7, pay with credit card and receive them at home in a few days. Discover more works of Companies or Corporate Site, E-commerce.